Regular cleaning of your carpets, armchairs, sofas, mattresses, upholstery and curtains in home and office prolongs their life and they will be longer fresh and clean. Why spending extra money in the shop for products that does not work, and even can damage the surface? Most of the dust and mites is accumulated on the carpet, furniture, mattress and curtains in the house, causing allergies and unpleasant feeling. We at Go For Cleaning LTD do clean deeply and precisely select detergents and machines for professional cleaning. Cleaning of your home,carpets and upholstery should be given to our experienced teams who are specially trained in the care of the surface and the fabric. With us you can rest assured that the choice of a cleaning company is correct, knowing that we will choose the best solution for cleaning. Cleaning of your carpet is an investment because it is the face of your room. 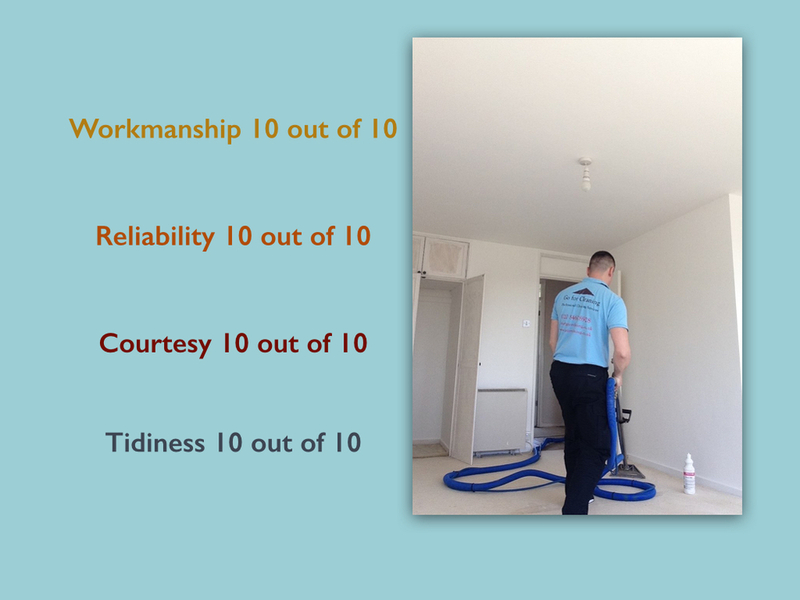 For us is important you to be satisfied with the cleaning. When cleaning furniture and upholstery we apply the same steps as when cleaning carpet. We do preparation using an extraction on the surface, then gently rub the preparation that degrades accumulated dirt and vacuum up with special water vacuum. Some contaminated surfaces requires re-cleaning. When the material is more specific and less hardy of such a process, we apply hand cleans - applying shampoo and rub using a natural bristle brush. To dry it off our technicians are using a water vacuum, which is specificly adjusted so not to hurt the surface. In the end you will be totally satisfied with the result!